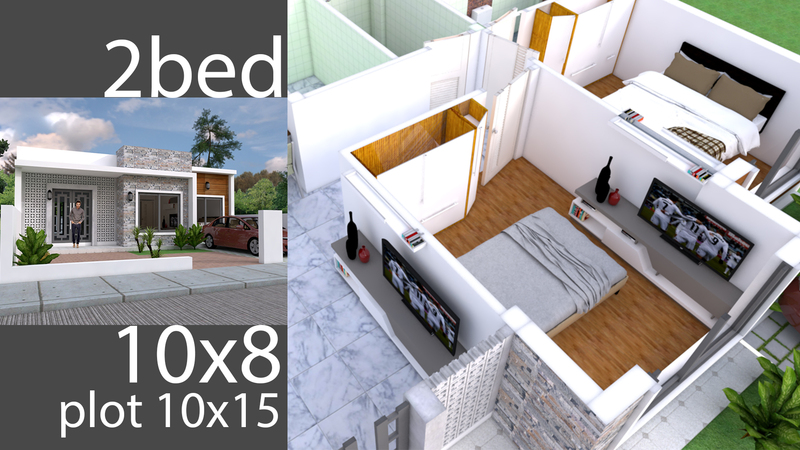 Simple Home Design Plan 10x8m with 2 Bedrooms plot 10x15m. This villa is modeling by SAM-ARCHITECT With One story level. It’s has 2 bedrooms with 2 Bathrooms. The house size in Meter: 10x8m with minimum plot 10x15m. 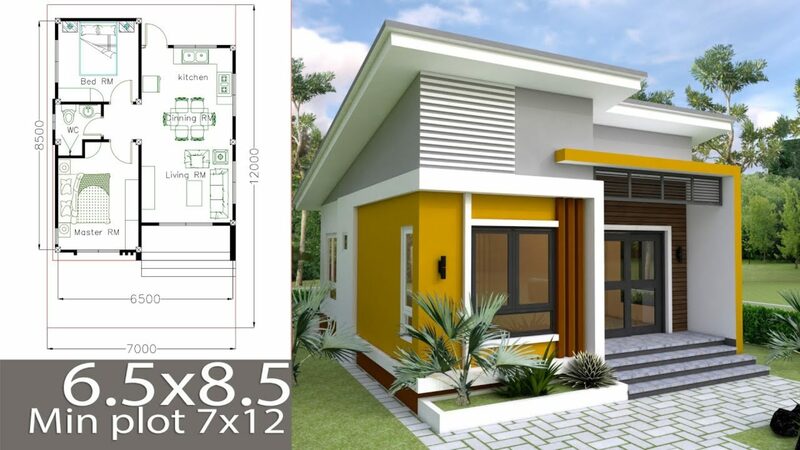 The House has: small garden, Living room, Dining room, Kitchen, 2 Bedrooms, 2 bathrooms, Store room with Washing machine, Small deck connected to Kitchen.